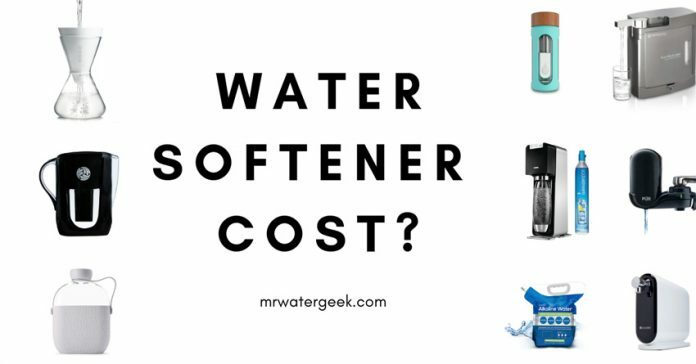 So, you are ready to buy a water softener system but want to know the cost? 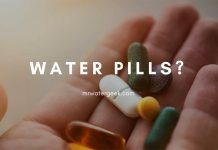 This water softener system cost article will give you just that and help you understand the reasons behind the prices. 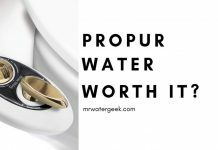 But the bottom line is that getting a water softener is worth it. Standard water softeners usually cost between $600 and $1450 but a water softener helps prevent costly damage to accessories and equipment, such as deposits in piping and equipment that can cause clogging and corrosion. With a water softener in the US you will use up to 75% less soap. Save up to 30% of the water heating costs while protecting your water installations and equipment. It makes your clothes whiter and brighter and of course makes cleaning very easy. 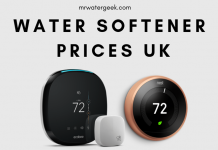 But I know that the price is important when you buy a water softener so let’s get down to some figures. 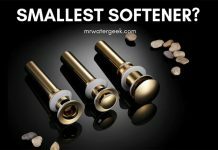 What Determines the Water Softener System Cost? 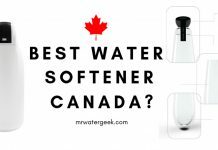 What Is The Best Water Softener For You? How much does a water softener system cost? There are several factors that affect the final cost, including the type of system you choose. A small and simple water filter for a single faucet in a house does not cost much. 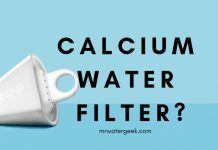 The most common culprits for hard water are calcium and magnesium. 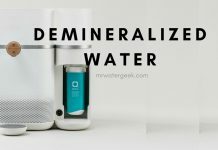 For water softening, therefore, the removal of these minerals from the incoming water supply, so that the water is better usable for daily activities. The amount that you ultimately pay to install a water softener depends on these factors. Homeowners can pay as little as $450 for a basic softener while paying over to$5,000 for a powerful softener for large households or industrial level softeners. The costs may vary depending on the contractor, the type of water softener used and the water softening machine itself. 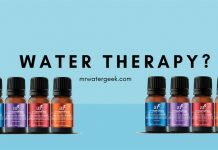 At the other extreme are the water purification systems for the entire house, which cleanse and soften all the water that enters your home. 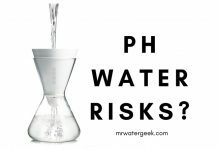 The better a water treatment system, the more expensive it gets. The condition and accessibility of the installation location of your home are additional factors. The specific size of the water softener determines how much an owner pays for a softener machine. 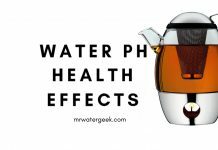 Larger houses, houses with more inhabitants and properties with a large amount of hard water will need larger and more effective units to remove minerals that cause hardness. Water softeners are characterized by their capacity, and their capacity is measured in grains per gallon (GPG). For a home that requires less than 3,500 g / l water softener, the capacity needed to install it is about 24,000 g. For a house with 6,000 grains, the required capacity of the water softener is 48,000 grains. To get an idea of the price of each unit, a 75,000-level water softener costs about $1,250. 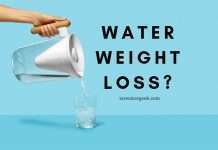 If your water intake is quite hard, you need a more effective softening process to achieve the desired results. 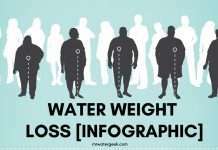 In short, the harder the water, the higher the softening costs. The biggest difference between the types of water softeners is the use of sodium or potassium. 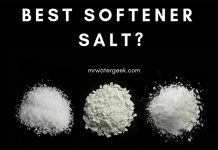 Sodium-based water softener salt cost approximately $5 for a 40-pound bag, while potassium softener costs around $27 per 40-pound bag. 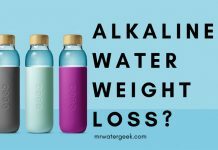 Sodium is much cheaper than potassium, but if you need to be able to drink the softened water (without salt), you may have to bear the extra cost. Now that you know there are different factors involved here are the different levels of cost involved. 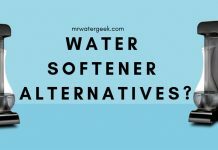 I’ll look at the 3 levels of softener, explain what they are and give an indication of their price range. All of the softeners in the price range give you soft water, but it can come at a price. Initially, they are cheap to buy but the running costs will be high. Especially if you buy the cheapest model that you can find. A poor quality cheap budget softener model can have the annual operating costs (salt and electricity) of more than $120 per year. This does not even cover possible regular maintenance service and repairs. 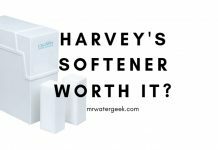 Some customers who buy very cheap budget softener equipment say that they need to upgrade after a few years to a better quality water softener. 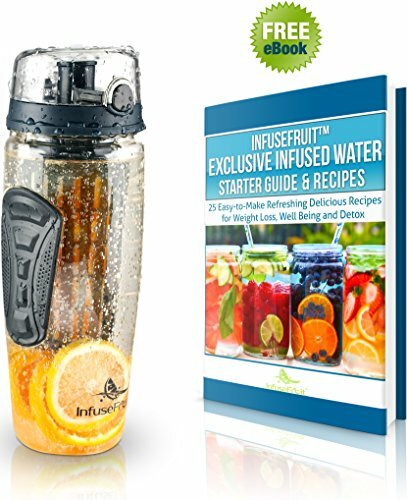 If you have a limited budget, take your time to read all the customer reviews on a place like Amazon and don’t automatically opt for the cheapest model. 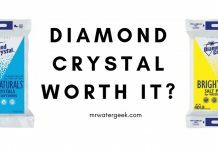 I find that this is by far the most popular choice for customers as they offer the best option for soft water. Best build quality, best warranties and lower operating costs, which can be as low as $30 per year. 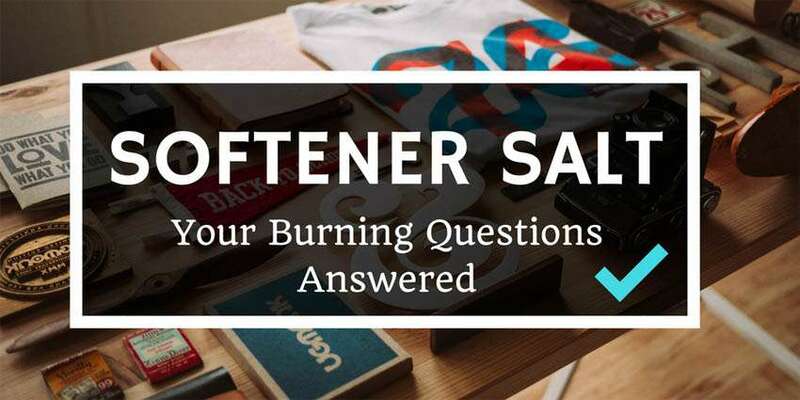 While the softener cost may seem like a lot of money, the life of a branded water softener is usually about 15 years. 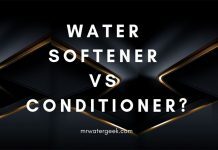 While you can find many water softeners from different brands, there are usually only two different models that offer the best water softener systems. 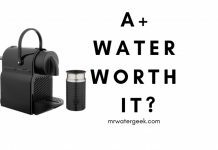 Aquasana (get 50% off with coupon code AQGEEK50) and Fleck are considered the best types of water softeners. These tend to be necessary for larger homes, factories, commercial premises and industrial needs. Here it may even be necessary to build a fully customized system. Larger water softening systems are needed for extremely hard water, for very high water flows or for a water consumption of more than 2000 liters per day. If you want to save money, you can find a high spec water softener on Amazon and get a fully qualified professional plumber also handpicked by Amazon (with fully visible customer reviews) to install it for you. 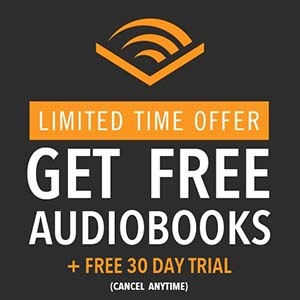 This is also good because you benefit from Amazon’s reliable customer service if anything goes wrong. 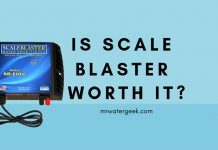 How much is the installation of a water softener? A member of Angie’s List who installed a water softener in 2013 said they paid about $1,690. This does not however take in to consideration any possible discounts that many service providers give to new consumers. Nor does it take into account the complexity of their set up etc. 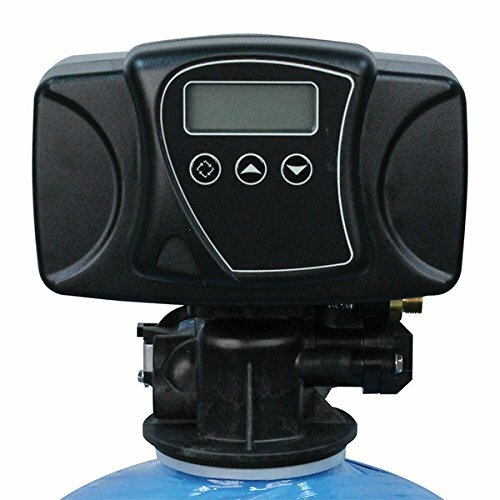 The labor costs typically associated with the installation of a water softener include the removal or disposal of a previous system, the preparation of piping for the new system to be installed, and the materials required to secure the unit. The labor and material costs can therefore be between $250 and $400 dollars extra. 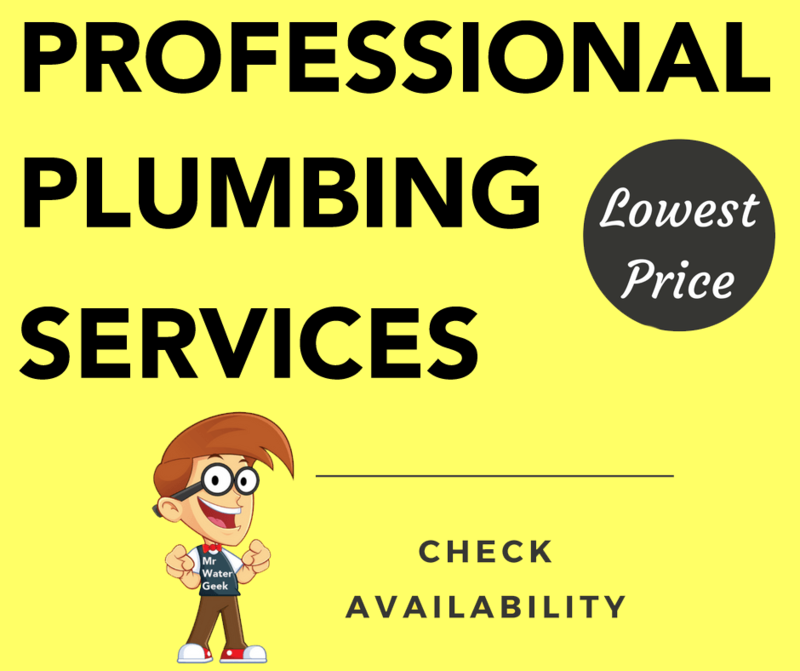 Amazon is currently offering professional plumbing installation for a fraction of these prices. You also benefit from their reliable and world-famous customer service if anything goes wrong. 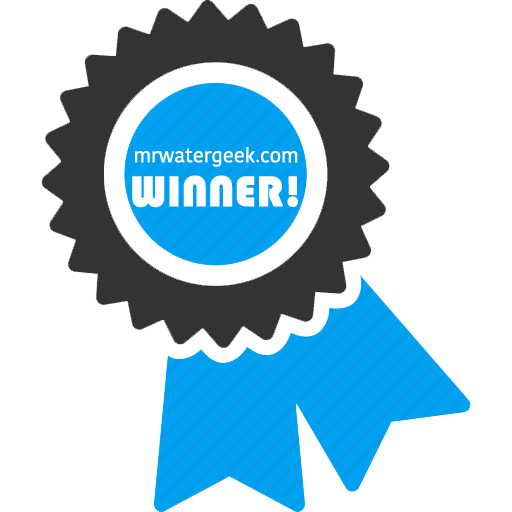 When it comes to popularity and number of sales, Fleck is by far the most popular water softener model with the best customer reviews. It is the best selling water softener online and has lots of raving fans. The best part is that you can pick up any Fleck on Amazon today with free next day shipping, get an Amazon accredited plumber to install it for you and have your softener up and running before the end of tomorrow. 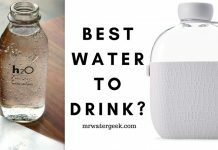 Fleck is hands down the best selling water softener that is available on Amazon. The best part about this is that you can read all the customer reviews before you buy. 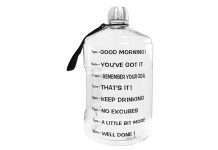 You will also benefit from Amazon’s reliable return policy and customer support if anything goes wrong. Can deal with very hard water issues and provide enough soft water for an average household. If you have a larger household then go for a higher spec model like the 7000SXT and 9100 SXT. 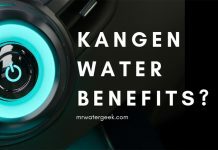 This softener model offers the best value for money with prices starting at around $550, which is cheap when compared to the start price of $1,000 of the average water softener from other brands. They are also very easy to configure and set up. Fleck SXT water softeners are very easy to install. A person with basic plumbing skills can do it with all the free information available online. Fleck is the most popular water softener model selling today period. This means that there are lots of free help pages online talking about how to deal with any technical issues, troubleshooting and free manuals.More than is available for any other softener brand. 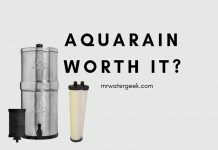 Previous articleCalcium Water Filter: Is It Really WORTH Buying? 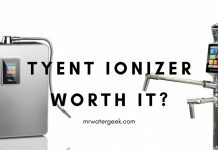 Your analysis of water softener was very helpful although I still need more information about iron removal. We have very hard water and heavy iron. 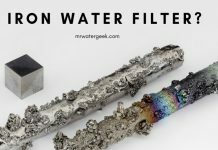 We have lived with just an iron filter system for years but conditions have changed and we now need a softener and better iron remover. 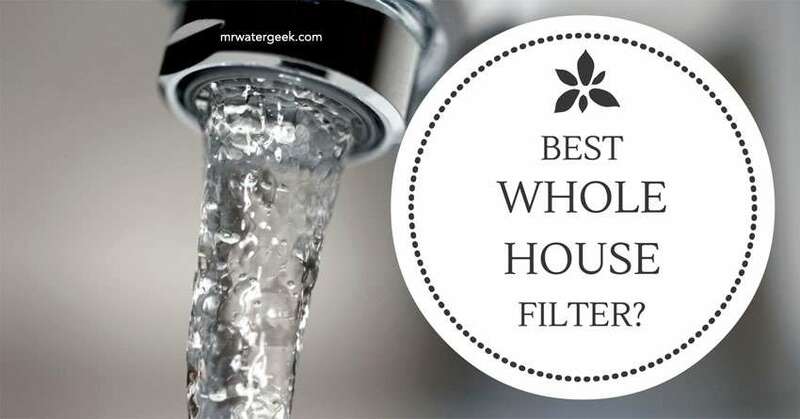 Quotes we have received from local contractors have recommended systems that are softeners with iron filters which you don’t discuss in this article. They also have recommended brands I haven’t seen mentioned in any on-line consumer reviews (e.g., Clack). 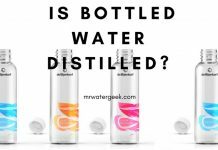 Do you have suggestions for a good quality but still affordable system that can get rid of the iron, magnesium and calcium in our well water and still give us good flow and better taste? Thanks for your feedback, I’d be happy to help. 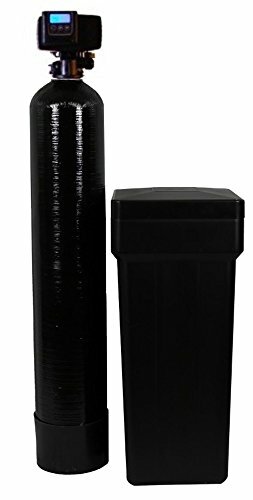 If you are looking for a water softener that also filters out iron then I’d recommend the Iron Pro 2 Combination Water Softener Iron Filter. This is one of the few softeners that filters iron, calcium, magnesium so will definitely meet your needs. I have reviewed it here in more detail, when I did a consumer report on the best softener/filter combinations.